I signed our school up for “YouTube for Schools” although there is no way to implement it. I have a proxy server in my classroom so it is trivial and as I am updating over the Holiday break I will put it in. 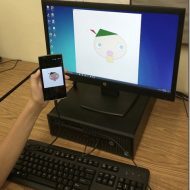 The Tech group is unable to grasp what this is good for as we have disconnected them from Education Technology and they aren’t really experienced at Technology in general. It is a welcome addition in my classroom, and it will improve me as an educator for learning to work with it. YouTube for Schools provides schools access to hundreds of thousands of free educational videos from YouTube EDU. These videos come from from well-known organizations like Stanford, PBS and TED as well as from up-and-coming YouTube partners with millions of views, like Khan Academy, Steve Spangler Science and Numberphile. You can customize the content available in your school. All schools get access to all of the YouTube EDU content, but teachers and administrators can also create playlists of videos that are viewable only within their school’s network. School admins and teachers can log in and watch any video, but students cannot log in and can only watch YouTube EDU videos plus videos their school has added. All comments and related videos are disabled and search is limited to YouTube EDU videos. YouTube.com/Teachers has hundreds of playlists of videos that align with common educational standards, organized by subject and grade. These playlists were created by teachers for teachers so you can spend more time teaching and less time searching.